Cosmetic Dentistry is one of the specialties at Northwest Dental Medicine. 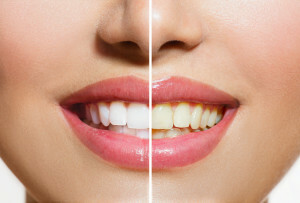 We offer teeth whitening services in the Northwest, featuring the ZOOM! 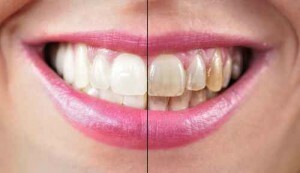 whitening system for fast and noticeable results. LUMINEERS BY CERINATE is painless because they don’t require removal of painful tooth structure. Dentists apply these contact lens-thin smile shapers to teeth without any grinding or shaving, transforming misshapen, worn teeth into a naturally beautiful smile that looks perfect for every individual. LUMINEERS can even be placed on porcelain bridgework and crowns with the new Revitalize Kit available from your dentist. LUMINEERS BY CERINATE is the best of both worlds  ultra-thin, yet super strong for a radiant smile that resists any cracking, which can damage restorations. LUMINEERS are completely reversible. Get your perfect smile today! Dental Medicine is a complex science and art, which involves an understanding of the inter-relationship of your teeth, your gums, and your bite. Your Teeth: A healthy attractive smile is priceless. Clean, straight teeth say a lot about who you are and where your are going. Today’s conscientious person understands that an attractive smile is well received in the business and social communities. Technological advances in tooth colored fillings and porcelains can now result in beautiful smiles. Your Gums: Your gums are the foundation upon which your smile is projected. Gingivitis, or inflammation of the gums, is the critical first step toward the destruction and loss of your teeth. When red and swollen, your gums can detract from your overall picture of health. No one wants to lose their teeth to dentures. Through mutual involvement, we are committed to helping you maintain your teeth for the rest of your life. Your Bite: If you have headaches, facial pain or neck pain, you may be suffering the consequences of a bad bite. Temporal Mandibular Disorders (TMD or TMJ Disorders), Craniofacial Pains and Airway Restriction associated with Snoring and Obstructive Sleep Apnea can now be diagnosed and treated utilizing the latest in computer technology.